a more computer-literate colleague and long-time friend, Mike Humphrey. Mike also has managed and maintained his own apologetics web site AskACatholic.com since July 1996 when our Apologetics group was first founded. In all probably it was the very first Catholic Apologetics support group in the New England area, if not, the Eastern Coast. Both Brain and I think the work of praying for the Holy Souls in Purgatory has been overlooked for way too long. Our mission, one of mercy, is to relieve and gain release for the suffering souls in Purgatory who can no longer help themselves. We do this by monthly donations, collecting loose change and returning redeemable cans and bottles. 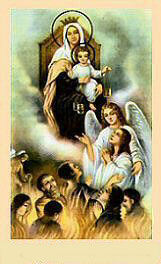 All funds collected are used to place Holy Masses for all the Holy Souls in Purgatory. We also fulfill our mission by holding a Holy Hour for the Holy Souls every Tuesday night immediately following the 7:00pm Holy Sacrifice of the Mass at the Fatima Shrine Chapel on Route 126 in Holliston, MA. All are welcome. 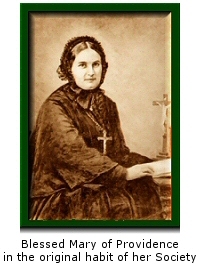 Our primary aim is to have Masses, said by Priests, every day of the year for the Holy Souls. The Patron Saint of our Apostolate is Saint Nicholas of Tolentino; known as one of the great apostles of the Holy Souls in Purgatory. His feast day is September 10th. Establishing new Purgatory Prayer Programs in the United States using our complimentary Prayer Packs if you want. Check out our write-up in the Catholic Free Press! Of course, we place all the efforts of our Apostolate into the Immaculate hands of Our Blessed Mother. We would like to dedicate this web site to our fathers, Stephen William Humphrey Jr. and Thomas Joseph Bagley in appreciation for the blessings we received from them. Mike's father, Stephen William Humphrey Jr. who was born into eternal life on May 28th 2007. Your prayers for him, his saintly wife: my mother, Dorothy and the whole Humphrey family would be appreciated. Mark and Pam's great kids (but please don't tell them): Katie, Brian, Justin and last, but not least, Stevie, my godchild. Brian's father, Thomas Joseph Bagley who was born into eternal life on April 25th 1999. Your prayers for him, his wife: my mother, Patricia and the whole Bagley family would be appreciated. Brothers and Sisters: Kathy, Brian, Gary, Sue, Tom, Scott and Bob and my other relatives.